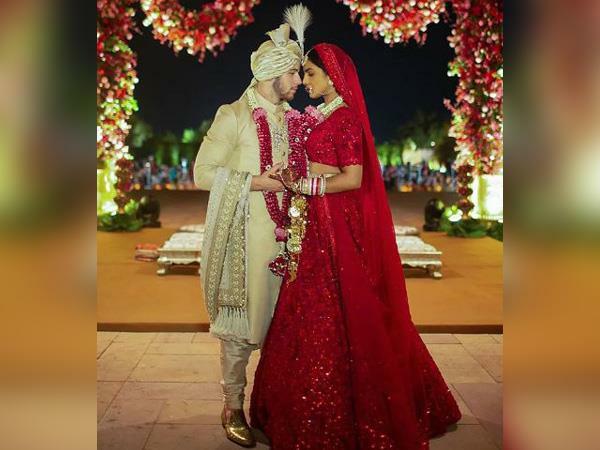 After breaking the internet with some beautiful pictures and videos from the Christian wedding ceremony, glimpses of Priyanka Chopra and Nick Jonas'' Hindu wedding are out, and they are simply stunning! The couple''s destination wedding has left fans wanting for more. 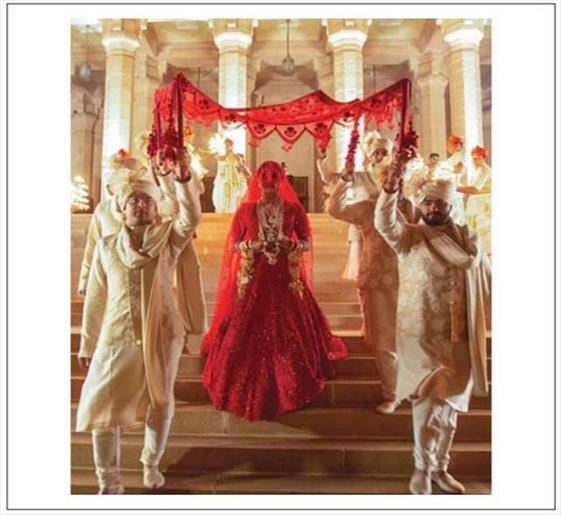 From the beautiful setting of the Umaid Bhawan Palace to the 75 feet long train of her wedding veil, fans can''t stop gushing about the dreamy wedding. 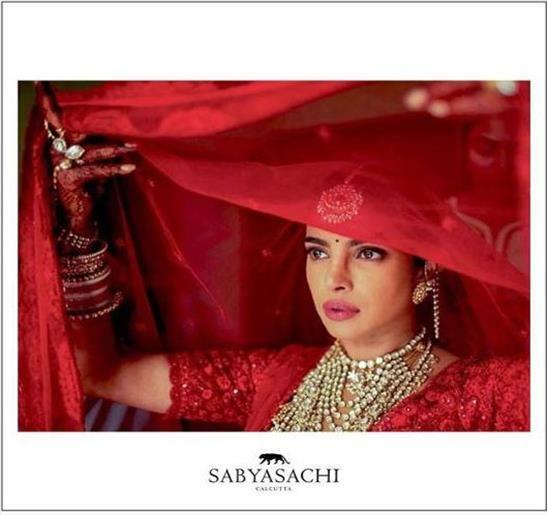 The fourth click features Priyanka descending down the stairs in her gorgeous lehenga. 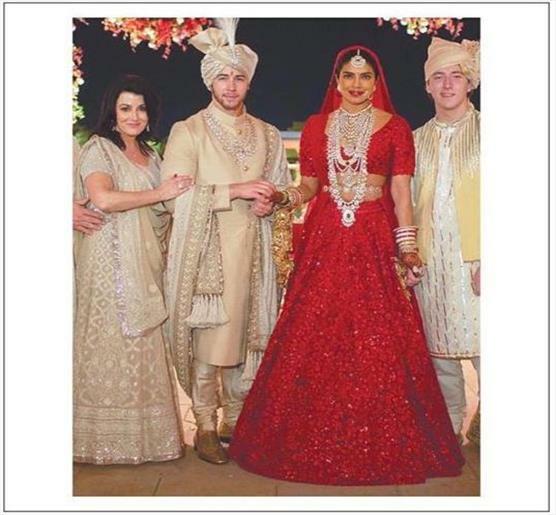 The Bollywood sweetheart''s brothers, including Siddharth Chopra and others, are escorting her while holding a ''dupatta'' over her head. The fifth photo captures the Jaimala ceremony, where the star couple can be seen exchanging garlands. Just like any other Hindu wedding, their friends and family have lifted up the groom and the bride on their shoulders. 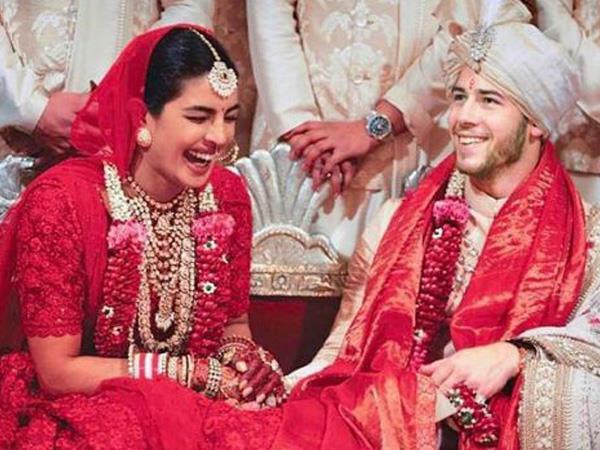 Both look equally happy, wherein an excited Priyanka is trying to put the garland around the groom''s neck. The pictures are proof that the wedding was definitely an emotional affair! And last but not the least, a photo featuring the newly-weds posing with Nick''s mother Denise Miller-Jonas and his youngest brother Frankie Jonas.